The Mughal era is the era of the Mughal Empire in India, which took place from the sixteenth century, to a point in the early eighteenth century, when the power of the Mughal emperors' decline. He finished several generations of conflicts between rival warlords. India in the 16th century had many many unpopular rulers, Muslims and Hindus, with the absence of joint bodies or institutions of law.external developments have played an important role in the birth of 'Mughal empire. The circumnavigation of Africa Portuguese Vasco da Gama in 1498 allowed Europeans to challenge control of Arab trade routes from Europe to Asia. In Central Asia and Afghanistan, changes in power pushed Babur of Ferghana (now in Uzbekistan) southward, first to Kabul and then to India. The Mughal Empire lasted more than three centuries. The Mughal Empire was one of largest centralized states in premodern history and was the forerunner of the British Empire. The title of the greatest Mughal emperors of the six major receiving different answers to the present Pakistan and India. Favor Babur the pioneer and others his grandson, Shah Jahan (r. 1628-1658), builder of the Taj Mahal and other magnificent buildings. The other two were prominent Akbar rulers (r. 1556-1605) and Aurangzeb (r. 1658-1707). Both rulers expanded the empire and administrators were very capable. However, Akbar was known for its religious tolerance and genius Administrative Officer, ruler Aurangzeb was a zealous and fierce proselytism orthodox Islam throughout the heterodox Indian landscape. Pioneer to the Mughals (Babur) was born February 15, 1483 and died December 25, 1530, claiming descent from both Chengiz Khan and Tamerlane, Babur was known for his love of beauty, and its military capacity. Babur concentrated on gaining control of northwestern India India.He was invited by Daulat Khan Lodi and Rana Sanga, who wanted to end dynasty.He defeated Ibrahim Lodi Lodi in 1526, the first battle of Panipat, a town north of Delhi .Babur then turned to the task of convincing his followers to be central in India and of overcoming other contenders for power, particularly the Rajputs and the Afghans. He succeeded in both compartments, but died soon after in 1530. 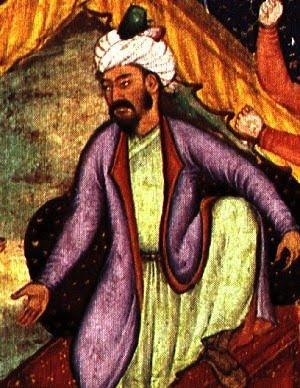 Babur held the record of his life turkish Chagatai, a language spoken in the world and turkish-Mongol Tamerlane all the time.Baburnama is one of the greatest examples of sustained narrative prose Chagatai turkish. Akbar's regent, Bairam Khan, one of Turkey's eastern Anatolia and Azerbaijani origin, whose father and grandfather had joined Babur service. Bayram Khan wrote poems in Persian and Tamerlane. His son, Abdul-Rahim Khankhanan Timur was fluent in Hindi, and Persian and composed in three languages. Using the text itself Babur, translated into Persian Baburnama. 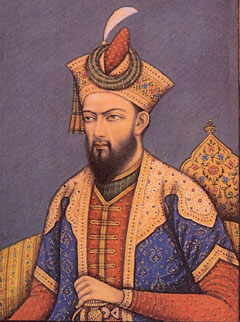 Timur The original was last seen in the imperial library at some point between 1628 and 1638 during the reign of Jahangir. Babur's son Humayun favorite took the reins of 'empire after his father died of illness at the age of forty years. In 1539, Humayun and Sher Khan, met in the Jungle fight between Varanasi and uhuiiuiioijiPatna. Humayun barely escaped with their lives and the following year in 1540, its army of 40,000 lost to the Afghan army of 15,000 of Sher Khan. A popular Afghan Pakhtun General Khul Marwat Khan "was the military leader Sher Shah Suri. This was the first military adventure of Khul Khan Marwat and soon becomes a nightmare for Mughal. Sher Khan's army under the command of Khan Marwat Khul become the monarch in London under the name of Sher Shah Suri and ruled from 1540 to 1545. Sher Shah Suri consolidated his reign as Punjab Bengal (in Bengal after the first Ala-ud-Din Khilji did more than two centuries earlier). It 'was credited with having organized and managed the government and military for the future Mughal kings used as their models. He added that the fort of Delhi (supposed site of Indraprastha), started by Humayun, and is now called the Purana Qila (Old Fort). The mosque Qila-I-Kuhn inside the fortress is a masterpiece of the period, but only parts have survived. The charred remains of Sher Shah were taken to a tomb in Sahas, midway between Varanasi and Gaya. Although rarely visited, a future great Mughal builders like Akbar Jahangir and Shah Jahan emulator architecture of this tomb. The palace is huge, three stories as a mausoleum and fifty feet high. [A child] Sher Shah Islam Shah remained in power until 1553 and after his death the dynasty South lost much of its influence due to conflict and famine. Humayun was a fact astronomer.In died due to a sharp drop from the roof of the Palace Delhi Sher Shah in 1554. Thus, in India, Humayun ruled only ten years and died at the age of forty years, leaving then only thirteen years of Akbar, as his heir. As a tribute to his father, Ali Akbar built the tomb of Humayun in Delhi (completed in 1571), red sandstone, which was the forerunner of the future architecture of Mughal. Mother and wife of Akbar Humayun Hamida Banu Begum in person the construction of the tomb. Prince Salim (b. 1569 Hindu Rajput princess from Amber), who would later be known as Emperor Jahangir showed signs of nervousness at the end of a long reign of his father Akbar. 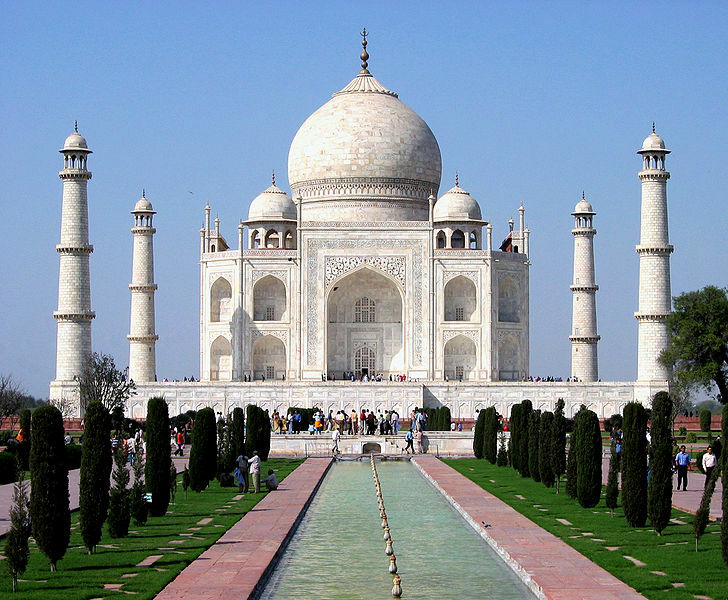 During the absence of the father of Agra, was king and became rebellious. 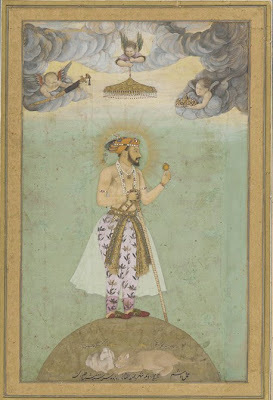 Akbar was able to fight with him to the throne. Salim did not worry about your brother, aspirations to the throne. His two brothers, Murad and Daniyal, had both died early from alcoholism. Jahangir started his era as a Mughal emperor after the death of Akbar in 1605. 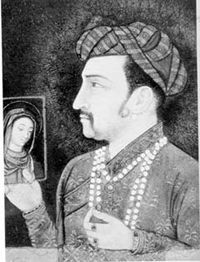 He considered his third son Prince Khurram (later Shah Jahan in 1592, born Manmati Hindu Rajput princess), his favorite. Frog Mewar and Prince Khurram had a purpose, which resulted in a treaty acceptable to both parties. Khurram was kept busy with several campaigns in Bengal and Kashmir. Jahangir said the victories of Khurram, AI Shah Jahan as his. He also had unlimited sources of income largely due to a systematic organization of government from his father, Ali Akbar.The Mughal Empire reached its peak during Jahangir and Shah Jahan, the status of AS. Jahangir has built his famous gardens in Kashmir that daily administration has been delegated to quit aid.One such person was the wife of Jahangir Nur Jehan, who married in 1611. She was the widow of thirty years of one of his Afghan nobles. The father, born in Persian Itimad-UD-Daula became a minister and close adviser to the emperor. Nur Jahan much power, with her father and her brother Asaf Khan, who was a successful general, was the kingdom. Jahangir had kept a diary, is used as your memories. Although not a soldier, Jahangir was a passionate patron of Mughal art and a passionate builder. Akbar has completed for the graves of five layers of Sikandra. Emperor was busy building Lahore, Allahabad and Agra. While the de facto emperor, Nur Jahan attended administrative details, Jahangir found solace in loitering in his gardens and enjoy art and nature. The more obscure episode of his government may have been a leader in the provision of new format called peaceful religion Sikhism. Akbar saw the flowering of the new religion founded by Guru Nanak, with fascino.Una peaceful religion of Sikhism as a result, when militants Jahangir, grandson Aurangzeb murdered the ninth Sikh Guru Tegh Bahadur. Jahangir died in 1627 of alcohol abuse and Prince Khurram (Shah Jahan), began to reign as emperor. 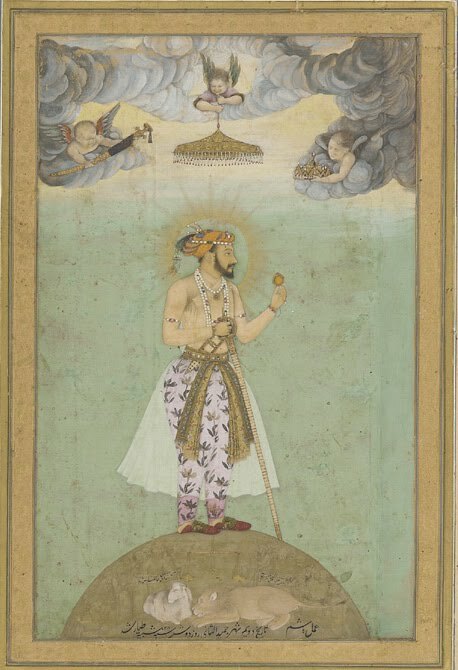 Prince Khurram, who later became known as Emperor Shah Jahan ascended the throne after a difficult struggle for succession. With the wealth created by Akbar, the Mughal kingdom was probably the richest in the world. Prince Khurram gave himself the title of Shah Jahan, the King of the World "and this was the name that was immortalized by history. With your imagination and aspiration, Shah Jahan gained a reputation for excellence as an esthetician. He built the pavilion of white marble at the Shalamar Gardens in Srinagar and a white marble palace in Ajmer. He also built a tomb for his father, Jahangir in Lahore and built a great city Shahajanabad in Delhi but his imagination surpassed all Mughal glory in his most famous building Taj Mahal. Shahajanabad was that his daughter Jahan built the market called Chandni Chowk. His beloved wife Arjuman Banu (son of Asaf Khan and niece of Nur Jahan) died while delivering their fourteenth child in 1631. The distraught emperor started building a monument to her the following year. 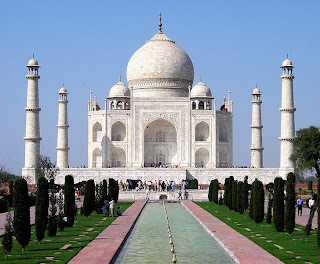 The Taj Mahal, named for Arjuman Banu, who was called Mumtaz Mahal, became one of the Seven Wonders of the World. Inaugurated the reign of Aurangzeb decline of the Mughals.Aurangzeb, in the second half of his long reign he assumed the title "Alamgir" or "Seizo world," was known for aggressively expanding the borders of the empire and for the implementation of orthodox Islam militant Sunni. During his reign the Mughal Empire reached its maximum size (the Bijapur and Golconda sultanate that had been reduced to vassaldom by Shah Jahan were formally annexed), although it is likely that their policies have also led to its dissolution. Still, there is the belief that his policy may have slowed the fall of the Empire, rather than run it. Although it was a great manager and a general strict budget rules and reduced the military security Mughal and luxury increased. Earth rather than cash became the usual means of remuneration of officials, and trends of the split in their great empire further weaken the central authorities. In 1679, Aurangzeb restored payment hated Hindus. Coming after a series of other taxes and other discriminatory measures which Sunni Muslims this action out of necessity, incited rebellion among Hindus and other parts empire - Jat, Sikh, and Rajput forces in the north and the Deccan forces Marat. 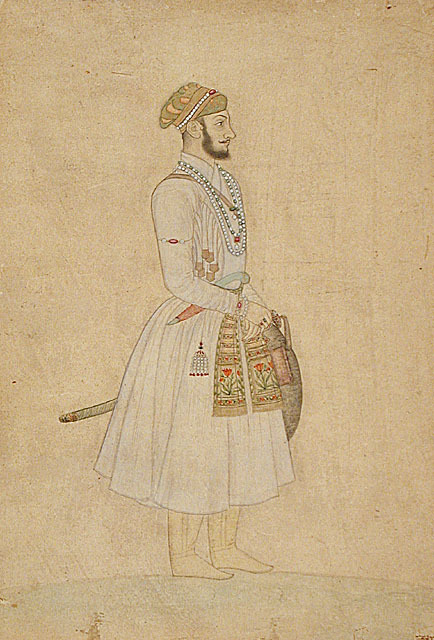 The emperor managed to end the rebellion in the north but at a high cost to agricultural productivity and the legitimacy of the Mughal government.Aurangzeb was forced to move his headquarters to Daulatabad in the Deccan to mount a costly campaign against the guerrillas led by Marat Shivaji, which lasted 26 years until his death in 1707 at the age of seventy-nine. In the half century that followed, effective control of Aurangzeb's successors weakened. The system gave rise to mansabdari Zamindari system in which high-ranking officials had the appearance of hereditary aristocracy, with powers to collect revenues. Delhi as a control waned, other contenders for power emerged and clashed, thus preparing the ground for eventual British takeover. The Mughal State reached its zenith under the leadership of Aurangzeb. Had 29.2 percent of the world's population under its banner (175 million to 600 million in 1700 AD) and was one of the richest countries in the world had ever seen, 24.5% of the world GDP (at 90 8 million dollars from 371 billion USD in 1700). Aurangzeb, as his father before him, is remembered as an empire builders. The Badshah Masjid (Mosque of the People) in Lahore, was built in 1673 in their orders. Not only the biggest mosque ever built by a Mughal emperor, but was then the largest mosque in the world. He also built the Port Alamgiri Lahore Fort, which is now a UNESCO World Heritage Site. Moti Masjid Red Fort in Delhi was completed by him. When Aurangzeb died near the age of eighty years, there were seventeen legitimate claim to the throne, which included not only children but also their grandchildren and great-grandson. After the death of two brothers fought near Agra, on the battlefield, but fought his brother Dara Shikoh Aurangzeb. Prince Muazzam prevailed and killed his brother, Prince Azam Shah and assumed the title of Shah Alam Bahadur Shah I I. 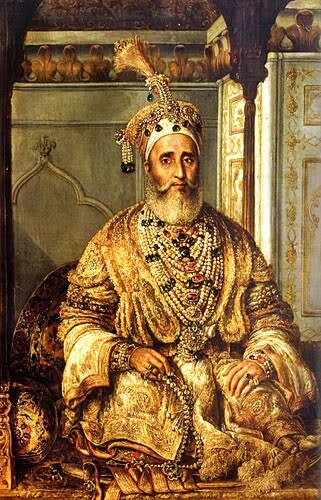 Son Bahadur Shah Jahandar Shah succeeded after his death. In the Deccan Saiyid Husain Ali Khan colluded with Marat and attacked Delhi and using tricks and intrigues in quotation seized Farrukhsiyar Red [Fort necessary]. The emperor was blind and he was imprisoned and poisoned, stabbed to death until the appointment necessary. However, before dying, Farrukhsiyar had the dubious honor of helping the British to take a firm position in India, to sign the coveted Imperial Farman a directive that would seal the future acquisition of British India. Maratas were attacking constantly Delhi. More consequential humiliation was the sacking of Delhi by Nadir Shah. A descendant of Timur, Nadir Shah was the throne of Persia and seized Kandahar and Kabul. Marched through Panjabi and was invited as guest by Muhammad Shah of Delhi (only because he had neither the will nor the resources to fight it). Within forty-eight hours, using a lame excuse, Nadir Shah ordered a general massacre of Delhi citizens and looted every bit 'of wealth they could extort from royalties, as citizens of Delhi. Nadir Shah remained in Delhi for 48 days and the value of millions of gold jewelry and coins. Even the imperial throne Bejeweled Peacock made during the reign of Shah Jahan was packed on elephants and brought to Persia. Another award, the diamond Koh-i Nur (diamond Humayun) passed into Persian. Later, an Afghan, Ahmad Shah began his raids in London for the sole purpose of looting the capital. In a series of attacks from 1748 until 1761, Abdali not only pillage and loot Delhi, has also cleaned Mathura, Kashmir and the Punjabi city. From the east, the British defeated the Nawab of Bengal and occupied the state of Bengal. The attacks of Nadir Shah and repeated incursions of Abdali resulted in the rapid removal of the next two emperors Ahmad Shah and Alamgir II, until in 1759 Shah Alam II ascended the throne. His reign lasted several decades. However, he will preside over the loss of territory to the British. When the Nawab of Bengal lost to Robert Clive, Shah Alam II to recognize as Clive Diwan (court) and Bengal, fell into British hands permanently. In 1806, the son of Shah Akbar Shah Alam II to join the much diminished empire of the Mongols and ruled until 1837. The son of Bahadur Shah Zafar was the last emperor of the Mongols of the English before he was deposed in 1858 and the Mughal dynasty is officially over. During the Indian Rebellion of 1857, Bahadur Shah II was forced to stand with the revolt, which had the power to influence the outcome of events. The mutiny had cheated his British sponsors and now the emperor nor the troops of the competition. I had no choice but to join the winning side. However, the success of the revolt was quickly canceled and octogenarian (was eighty-two years) was fired from his empire and deposed in 1858. The emperor was then exiled to Rangoon in Burma, where he died forgotten in 1862.